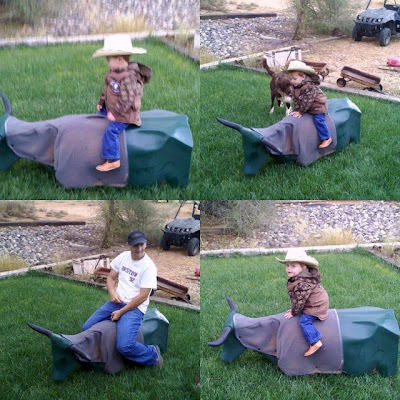 Riggun jumped on uncle Kolbey's Jake Steer and was trying to ride it like a bull. Just lovely right? And daddy was no help cause he was showing him how to do it!